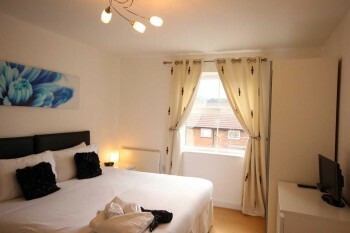 Apartments in Luton vary from Aparthotel style accommodation to two bedroom fully furnished apartments. They offer home-style accommodation to suit those looking to stay three nights up to a week, month or more. Cotels are expanding their serviced apartment business in Luton, which are designed for corporate business travel and contract workers to the area looking for short to longer-term accommodation. Although Luton’s economy suffered with the decline in the motor industry, the town has seen a big rejuvenation largely as a result of the expansion of Luton Airport. Many corporates and big companies are now based in the town resulting in the growing demand for short-term accommodation in Luton. Luton is located in the south east of England, 30 miles north of London in the county of Bedfordshire. It is on a direct railway link into London. The availability of fully furnished short-stay apartments in Luton are, therefore conveniently placed for business travellers commuting into Luton airport with access to the city. The town was once famous for it’s hat-making industry and it was home to the Vauxhall Motor factory. The town’s economy was based upon manufacturing and during the 20th century, a Vauxhall Motors car plant and Electrolux household appliances plant flourished in the town, as well as other light engineering industries. Today, it is a large town owing much of its development to Luton airport, one of the UK’s major airports. The service industry is also thriving and now employs around 60% of all workers. Famous landmarks include the Luton Hoo Estate health spa and golf course. The unusual name of “Hoo” is a Saxon word-meaning spur of the hill. The mansion house has been converted into a luxury hotel, which opened to public bookings in October 2007. Luton Town Hall – a great classical style building and is served as an official building. One of the key features of the building is that it is constructed with the fireproof material. Luton Museum & Art Gallery – a Victorian-style museum with a wide range of Victorian-style art, traditional crafts of Bedfordshire and there are many objects from the 17th century. It also displays objects of natural history and local archeology. The Mall – a great shopping place with more than 128 shops in including the major department stores. Stockwood Craft Museum – based in Stockwood Park. It has a great collection of the rural crafts and historical trades. Dunstable and Whipsnade Downs – a wide area that is used by hang-gliders, Para-gliders and kite flyers. It also features a huge variety of wildlife and rare species of plants. A visitor center “The Chilterns Gateway Centre” is built on the top of Dunstable Downs. Whipsnade Zoo -is a very famous zoo in Whipsnade. It is controlled and funded by Zoological Society of London. The zoo features an amazing park that covers a space of 600 acres. There are more than 6,405 animals in the Zoo. ZSL Whipsnade Zoo is one of the largest wildlife spot in the United Kingdom. Whether visiting Luton for business, pleasure or a combination of both there is so much available to do and see with easy access into London and Cambridge. Our two bedroom apartments in ‪Luton‬ are ideal for corporates, contractors, airport staff, those looking for relocation or temporary short to longer-term accommodation and families. These apartments offer comfortable, spacious, stylish accommodation close to many business parks, entertainment amenities and is just a few minutes journey from travel links including London Luton Airport. The apartments have all the essentials needed for a comfortable and relaxing stay, including a private fully equipped kitchen with modern appliances so you can enjoy eating in and inviting visitors for drinks or a meal. The living/dining area opens on to a balcony adding to the spacious feel. 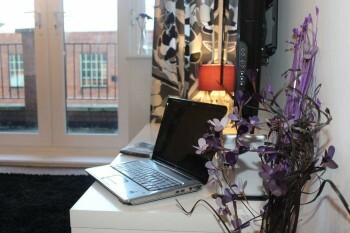 If you are planning a visit, why not contact Cotels to enquire about their serviced apartments in Luton.